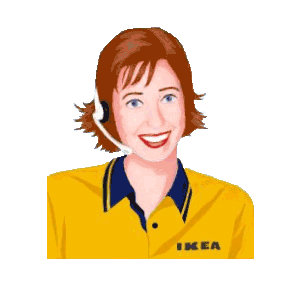 Singing with Anna is a sound performance centered on a real-time dialog with Anna – the IKEA’s online shopping assistant, in a hopeless attempt to make her sing. Several things happen to Anna during the performance. First of all Anna is hired by the venue where the performance is taking place. Then her text output is turned into synthetic voice using a text to speech software. As Anna refuses to sing, her voice passes through several voice changing devices, namely a vocoder and an auto-tune, in hope that few tunes will come out from her. Meanwhile fragments of her voice are sampled and become the sonic background for the struggle of getting a bot to sing. The performance was developed for the Rietveld Academie’s Studium Generale edition organized by Martine Neddam on the topic of synthetic voice and speech synthesis. As software the performance makes extensive use of SuperCollider for sampling and processing, Festival for the speech synthesis, Snokoder as a Vocoder, Autotalent as an autotune plugin, and Jack2 to interconnect all these nodes. Many thanks and kudos to Martine Neddam for the invitation and Aymeric Mansoux for some of the code and ideas that made this performance possible.